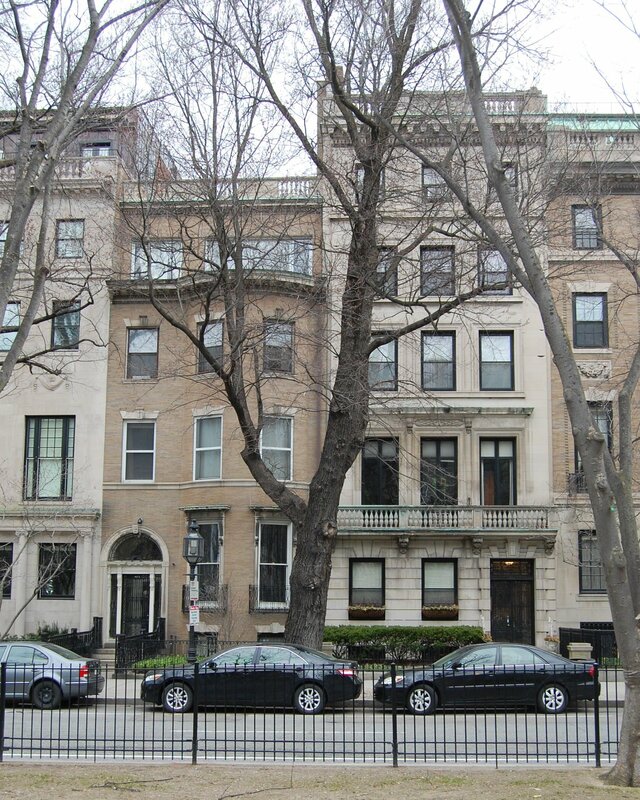 403 Commonwealth is located on the north side of Commonwealth, between Massachusetts Avenue and Charlesgate East, with 401 Commonwealth to the east and 405 Commonwealth to the west. 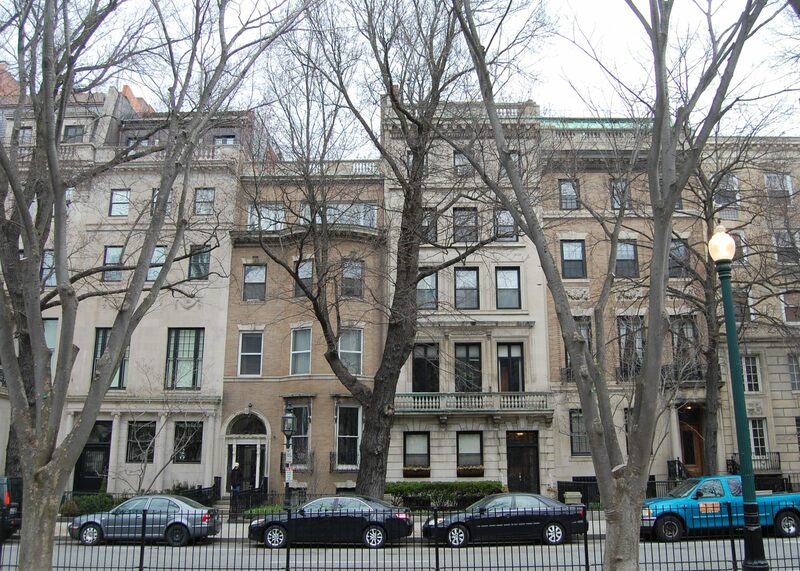 403 Commonwealth was designed by Shepley, Rutan, and Coolidge, architects, and built in 1901-1902 by John Y. Mainland, building contractor, for Samuel Carr and his wife, Susan Waters (Tarbox) Carr. He is shown as the owner on the original building permit application, approved on October 18, 1901. 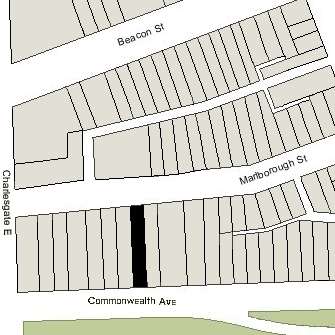 The rear of the lot on which 403 Commonwealth was built extends north to Marlborough Street and has a secondary street address of 452 Marlborough. Samuel Carr purchased the land for 403 Commonwealth on March 31, 1900, from John Malcolm Forbes, the eastern 25 feet of a 104.77 foot lot at 403-409 Commonwealth. J. Malcolm Forbes had acquired the lot on February 19, 1887, from Louis Curtis, who had purchased it on January 8, 1886, from a real estate investment trust formed by Francis A. Palfrey, Francis A. Osborn, and Grenville T. W. Braman. The lot was part of a tract of land the trust had purchased on June 1, 1880, from the Boston Water Power Company. Click here for an index to the deeds for 403 Commonwealth, and click here for further information on the land west of Massachusetts Avenue between the south side of Beacon and the north side of Commonwealth. 403 Commonwealth was built with a window in the western party wall with shutters which opened over the house at 405 Commonwealth. On December 23, 1901, Samuel Carr entered into an agreement with Mary DuBois, owner of 405 Commonwealth, specifying that the owner of 403 Commonwealth was to remove the window and shutters if requested to do so at any time by the owner of 405 Commonwealth. Mary DuBois entered into a similar agreement with Louise Amory, owner of 407 Commonwealth, which also had windows in its party wall with 405 Commonwealth. 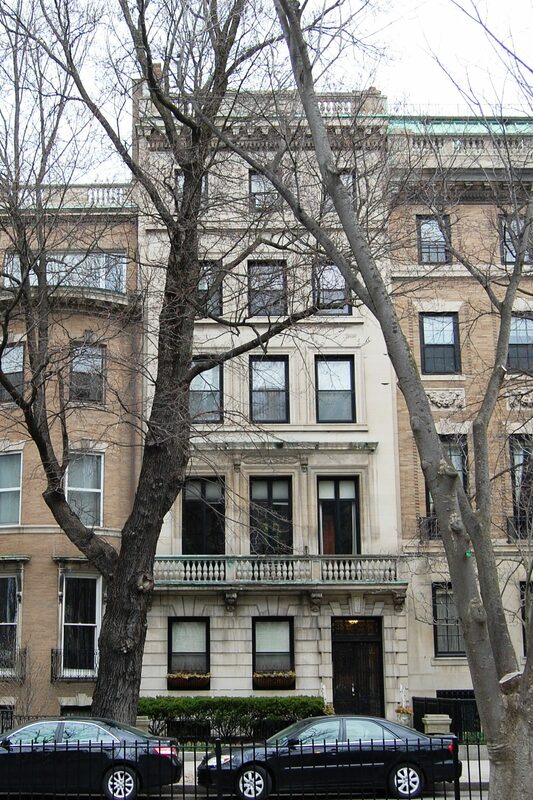 By the 1903-1904 winter season, Samuel and Susan (Tarbox) Carr, had made 403 Commonwealth their home. They previously had lived at 296 Marlborough. They also maintained a home in Manchester, Massachusetts. Samuel Carr was former Cashier of the National Hide and Leather Bank. In 1882, he was named president of the Central National Bank, and in 1883, he became secretary to Frederick Lothrop Ames, then the largest real estate owner in Boston. He subsequently became a trustee of the Ames Estate. Samuel Carr also was an organist and composer. On September 23, 1907, Samuel Carr transferred 403 Commonwealth into his wife’s name. Samuel Carr died in May of 1922. Susan Carr continued to live at 403 Commonwealth and in Manchester until her death in February of 1930. 403 Commonwealth was not listed in the 1931 Blue Book. On February 10, 1931, 403 Commonwealth was purchased from Susan Carr’s estate by Mary (Shaw) Bancroft, the widow of William Amos Bancroft. Her son and daughter in law, Guy Bancroft and Charlotte (Nickerson) Bancroft, lived with her. They all previously had lived in Cambridge. They also maintained a home in Cohasset. Mary Bancroft’s husband, William A. Bancroft, had been a lawyer and president of the Boston Elevated Railway. He had served as a brigadier general in the US Volunteers during the Spanish American War and as Mayor of Cambridge. Guy Bancroft was treasurer of the Boston News Bureau. Charlotte Bancroft died in November of 1934. On December 21, 1934, Mary Bancroft transferred 403 Commonwealth to her son, Guy, and her daughter, Catherine (Bancroft) Haviland, the wife of William David Haviland, whose family manufactured Haviland china in Limoges. Mary Bancroft died in March of 1935. Guy Bancroft continued to live at 403 Commonwealth until about 1937, when he moved to The Tudor (northwest corner of Beacon and Joy). On September 20, 1937, 403 Commonwealth was acquired from Guy Bancroft and Catherine Haviland by Catherine Geraldine (Sullivan) Hanley, the widow of Francis M. Hanley. She was a legal secretary and probably held the property for someone else, possibly for Guy Bancroft. In October of 1937, she applied for permission to convert the property from a single-family dwelling into ten apartments. She subsequently abandoned the permit. On September 26, 1938, 403 Commonwealth was acquired back from Geraldine Hanley by Guy Bancroft. On January 24, 1939, 403 Commonwealth was acquired from Guy Bancroft by Louis J. Binda. He was an elevator starter at a downtown Boston building who frequently held property for various other owners. He was unmarried and lived in Roxbury and later in Cambridge. That same month, he applied for (and subsequently received) permission to convert the property into medical offices. 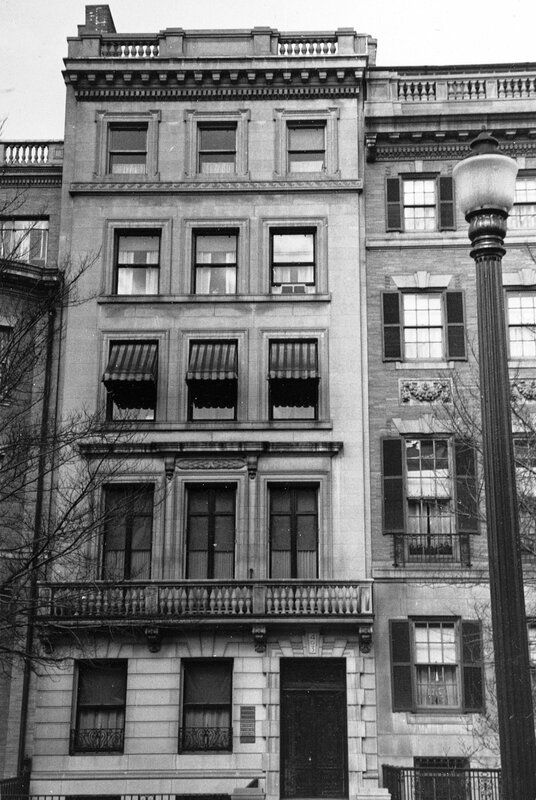 On January 1, 1940, 403 Commonwealth was acquired from Louis Binda by Dr. George Loring Tobey, Jr., Dr. Harold Grant Tobey, and Dr. Charles Irving Johnson, all physicians, who moved their offices there from 270 Commonwealth. George Tobey and his wife, Pauline Chase (Flanders) Tobey, lived in Brookline; his brother, Harold Tobey and his wife, Anna Marie (Sundberg) Tobey, lived in Jamaica Plain; and Charles Johnson and his wife, Mildred Lillian (Rusher) Johnson, lived in Brookline. George Tobey died in May of 1947. 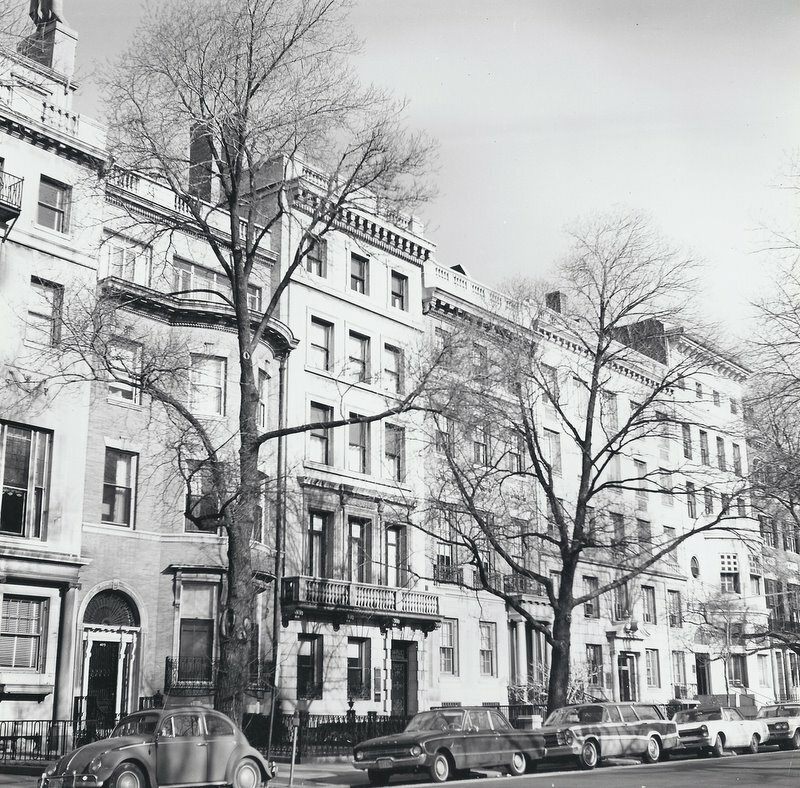 On December 26, 1950, 403 Commonwealth was purchased from Harold Tobey and Charles Johnson by Miss Clara Rita Drucker, a legal secretary, who also acted as a real estate conveyancer. In March of 1951, she applied for (and subsequently received) permission to increase the number of offices from ten to eleven. On February 9, 1952, 403 Commonwealth was acquired from Clara Drucker by the Simplex Company (Albert C. Titcomb, president). On May 2, 1955, 403 Commonwealth was acquired from the Simplex Company by Norman A. Ferguson, trustee of the Chelko Realty Trust. In August of 1956, it applied for (and subsequently received) permission to convert the front office on the fourth floor into an apartment, reducing the number of offices from eleven to ten. The property subsequently changed hands and on June 14, 1967, was acquired by Samuel Pusantian. In May of 1971, he filed for (and subsequently received) permission to increase the number of apartments from one to six. In April of 1977, he filed for (and subsequently received) permission to increase the number of apartments to eight. In April of 1978, he filed for (and subsequently received) permission to increase the number of apartments to nine, with four medical offices. And in February of 1986, he filed for (and subsequently received) permission to increase the number of apartments to eleven and reduce the number of offices to two. On October 31, 1986, he transferred the property to himself and his wife, Edith R. Pusantian, and on March 2, 2000, they transferred the property to themselves and Regina R. Pusantian-Diarbakerly as trustees of the Pusantian Realty Trust. On May 2, 2012, Regina R. Pusantian-Diarbakerly transferred 403 Commonwealth to PRES LLC. 403 Commonwealth was assessed as a combined residential and commercial building in 2018.